TJ Koger and Christopher Pietrowski, both of West Deptford, active in the dance and theater communities since they were toddlers, leaped into tap history in December when they won a gold medal in the children’s trio division at the International Dance Organization Tap Dance Championships in Riesa, Germany – the tap equivalent of the Olympics. They were among 35 American participants in the 1,500-person event, and two of three competitors from the Philadelphia area. Briana Daniels, 18, of Deptford, won a silver medal. For more than a century, tap dance – a mix of African step and Irish jig – has been shuffling its way across stages (Broadway, cruise ships, cabarets), enjoying bouts of mainstream momentum (Ginger Rogers and Fred Astaire during the 1930s and ’40s, then Happy Feet movies in the 2000s, and last summer’s documentary Tap World), only to recede again into the wings. But tap enthusiasts say the dance discipline never goes away; in fact, recent events show another tap wave a-comin’. In September, 36-year-old artist Michelle Dorrance (she and her tap troupe Dorrance Dance debuted in Philadelphia in December) was awarded a MacArthur Fellowship, receiving $625,000 over five years to pursue creativity in tap dance. Nancy Chippendale, director of the American Tap Company in Boston, and organizer of TEAM USA for the IDO competitions, says Dorrance’s MacArthur Fellowship gives incredible exposure to the art form. “And there are reality dance shows and the Internet keeping tap in people’s minds,” she said. And Broadway’s Shuffle Along, Or the Making of the Musical Sensation of 1921 and All That Followed, opening in April and starring Audra McDonald. The all-black musical is a reprise, created by accomplished tapper Savion Glover and director George C. Wolfe. On this January night, Koger, Pietrowski and Daniels, wearing red-white-and-blue TEAM USA sweat suits, take turns hoofing in two-minute stretches before a wall of mirrors. Slap, stomp, shuffle! They go through a repertoire of routines, smiling at a make-believe audience. After the music stops, they pivot to a lunge. But Koger doesn’t stop shuffling. “I just like performing,” he says cheekily. Hmm, because of the way he moved those hips? The instructor, Stephen May, 24, wearing an atypical wardrobe of jeans, boots, and an athletic shirt, shakes his head in mock disbelief. No doubt the tap scene would welcome some “All Shook Up” craze. Mays says that when he was growing up, famous tappers Gregory Hines, known for his heavy, low-to-the-ground funky style, and his protégé Glover were his inspiration. Today, he singles out Israeli dancers Avi Miller and Ofer Ben as fixtures fostering tap dance. Theresa Pietrowski, Christopher’s mother and owner of the Royal Dance Academy, admits she worried her son wouldn’t be considered cool among other guys when he started taking lessons, even though most famous tappers are male. And yet, a couple of boys in his class have asked him to teach them. Whether they are boys or girls, older or younger – “Tap dancing can be picked up at any age,” she says – Pietrowski encourages her students to attend tap festivals for their inclusive spirit, the chance to take master classes, and see performance and award shows. Although festivals aren’t new – dozens have been around for 20 years – more festivals spotlighting the American art form have popped up internationally in Brazil, Australia, Tokyo, Vancouver, and Stockholm. The tap scene is diversifying, as well. Kat Richter, founder of the Lady Hoofers Tap Ensemble in Philadelphia, formed her all-female company in 2011, partly to give female choreographers a platform. But the ensemble’s dance philosophies don’t always stay faithful to tap tradition: It has featured a barefoot tap show and another in which dancers played plastic milk crates, à la Stomp. Another of Richter’s methods for revitalizing tap in Philadelphia is the company’s weekly Sunday drop-in class. [Nottingham, England] – When dancer Lesley Rollini had three sons, she never dreamed that one day one of her off-spring would be following in her foot steps. But her son Matteo, eight, took up the hobby just over a year ago and has already proved himself to be a budding Billy Elliot – landing a place at the Royal Ballet in Birmingham. She added that despite her dance background, Matteo hadn’t always shown an interest in dance. “He started when he was very little, I took him along when he was about three to my little ones class, but I could tell he wasn’t focused and he didn’t really want to do it, so I didn’t pursue it. “It was only as he got older, seeing his brothers build up, he wanted to do the same, and he’s the type of body shape for gymnastics, and they took him straight away and there’s some dance rhythm in gymnastics and he just started to enjoy it. Matteo received top marks in his Royal Academy of Dance exams and has now been offered a place at the Elmhurst School for Ballet, in association with the Birmingham Royal Ballet, one of the major UK ballet companies. Matteo will be taking up his place in September and will be balancing it alongside school at St Edmund Campion Catholic academy, with school during the week and ballet classes at weekends. 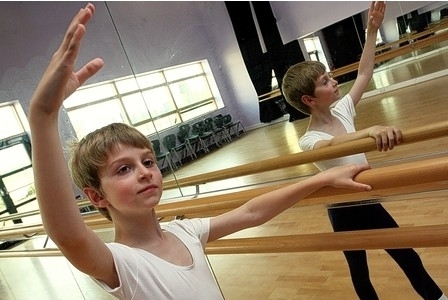 In May this year, the Post reported on another of Mrs Rollini’s pupils, 11-year-old William Smith, who achieved a place at the Northern Ballet Academy. Mrs Rollini’s school is one to watch as her other up-and-comers seem set for stardom. She said: “I’ve got a little boy who comes to classes who will have to wait to audition next year because of his age, he’s only been with me a couple of months. 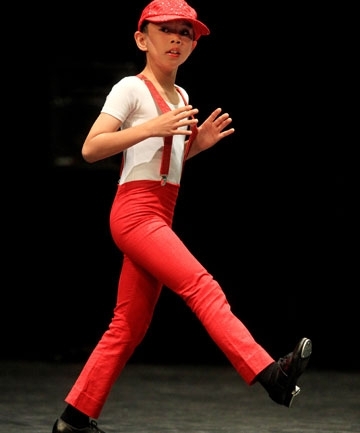 The future of tap dancing in America may rest on the small shoulders of a four-foot-tall, 52-pound, 10-year-old boy from Ashburn [Loudoun County, north of Washington, D.C.]. Luke Spring is a YouTube darlingwho is even more astonishing in person. Locally, he has been impressing the dance and theater community since 2010, but his fame has since rocketed to New York stages and national TV. Luke’s four-year career got another boost earlier this month, when he placed third in the Mini Division (for 7-10-year-olds) at the New York City Dance Alliance’s National Outstanding Dancer competition. Had the competition just been just tap, Luke would have won, wingtips down. [Wiltshire, England] – A teenager is taking his next step towards realising a childhood dream after winning a scholarship to a prestigious dance school. Seventeen-year-old Joey Goodwin is celebrating after finding out a chance audition last month has won him a place at Performers College in Essex. Joey competed against 80 other dancers during a gruelling day of auditions including a physiotherapy assessment, classes in ballet and jazz, singing and drama as well as an interview. Now after winning the government funded DaDa scholarship, awarded to about 30 students at the college each year and which will pay for all his school fees, Joey is preparing to start the three-year course. He will continue to develop his tap, ballet, and modern dancing skills as well as drama and singing and taking part in numerous performances. Joey who lives in Oakhurst, started dancing when he was five years old learning Latin, ballroom, and street dance. When he was 11 he took up ballet, which is now his favourite style. Ever since then he has been working his way towards his dream of becoming a professional dancer. As well as training eight hours every day in school and carrying out his own workout at home, Joey also teaches throughout Swindon and Oxfordshire. [Taranaki, New Zealand] – Tutus and tap shoes took to the Theatre Royal stage in New Plymouth this weekend [February 2], but it wasn’t just girls who were vying for awards at the dancing competitions. Budding ballet dancer Reuben Chan was the only boy entered in the glitter-filled Taranaki Fancy Dancing Association Easter competitions. The 8-year-old, who had been dancing since he was 4, was enjoying the weekend and was not worried by the 130 girls in the competition. “Dancing is fun, sometimes you can get nervous, but if you do you just don’t think about the people who are there,” he said. Reuben, who goes to Moturoa Primary, performed four dances over the three-day event and thoroughly enjoyed his tap solo. “My mum made my red pants for it,” he said. The dancer, who trains at the Chere McGregor Dance School, is not limited to tap and ballet, he also studies ballroom dancing, guitar, singing and is learning to play the flute. Mrs Chan, who is an assistant dance teacher, said she would continue to encourage Reuben to dance as long as he continued to enjoy it. “He gets a lot of self-confidence from dancing and he has a lot of fun too. That is really good for him,” she said. Mrs Chan, who said she practically lives in dance studios, said her son was not having any difficulty being the only boy in his class. “His teacher thinks he is quite special and he gets on well with the girls, so as long as nobody teases him he will keep enjoying it,” she said. His mother, Diane Strand, grew up dancing and performed in MGM Grand’s “Hello Hollywood, Hello,” so she knew to contact Kia Crader, owner and dance teacher at Fascinating Rhythm School of Performing Arts in south Reno, who also performed in the casino production. Although for most of the local children, performing in the Eldorado Showroom might be considered major league, it isn’t for Logan. He’s acted in commercials, had a part in a major film for Paramount Studios, auditioned on Broadway and danced in the Christmas show with the Rockettes in New York City’s Radio City Music Hall. It started with tap classes every Thursday. Luckily, Crader offered a boys-only class because Logan didn’t want to dance with girls. Logan associated ballet with pink tutus, and Strand had to explain that the girls wear the tutus, not the boys. “So he tried it, ended up really liking it and being fairly good at it,” she said. Not only did Logan want to dance, he wanted to act. “I kept thinking, the more he tried it, that he would find out it was real work,” Strand said. “Kids see this and they think oh, it’s fun and glamorous. I said, ‘You don’t understand that it’s real work, so I want you to experience what it really is.’” So, mom and her youngest son traveled to Los Angeles to audition at a few agencies. By the end of the trip, he had signed an agent. Next, the 7-year-old got called to his first audition at Paramount Studios, where he ended up getting hired to play actor Eric Bana’s younger self in the film “Star Trek.” He even shaved his head for the part. He worked for four months in Radio City Music Hall, dancing with 70 Rockettes. And what a ride it was. While in New York, Logan signed with Shirley Grant Management, which is one of the top talent firms for youth. He also auditioned for the Broadway musical “Billy Elliot.” He was placed in a training camp for the character Michael, but the show got canceled in January. Strand also made a big decision for her son. Although he has plenty of time to make up his mind, right now, Logan is torn about his future. He loves to dance, but he also loves reptiles and thinks it would be fun to be a herpetologist. Ethan Wood loves to dance and his feet rarely stop moving. It doesn’t matter if the 11-year-old is dancing for hundreds of people, sitting down or at the grocery store with his family. While instructing a group of more than 200 teen and older dancers, of which Ethan was a part of, Boyd told the students to start off with some improvisation. It was at that time Boyd noticed a floppy-haired boy who may not have had the best technique, but wowed him with his dancing. Ethan said it was improv skills that got Boyd to notice him. “There were so many other kids in the room, and some of them were really good. For Kent to pick me was a bit of a shock,” Ethan said. So after Ethan calmed down and was ready to dance again, he and Boyd took the stage together in front of everyone at the convention to perform an improvised dance number. But Boyd wasn’t the first person to notice that Ethan had something unique to offer. “He’s always the entertainment at weddings,” said his mother, Kristen Adamski. 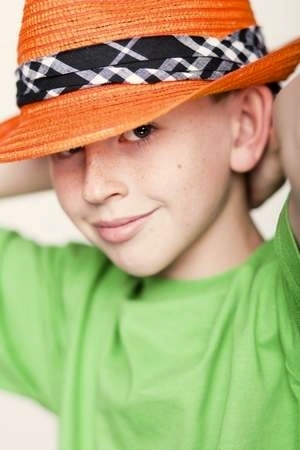 Ethan has been dancing since he was 3 years old, and started taking classes at Dance Xplosion in Milan when he was 5. He has learned numerous styles of dance, including tap, ballet, turns and leaps, hip-hop, modern and jazz. “My favorites are tap, hip-hop and modern, though,” Ethan said. This was not the first convention Ethan has attended. His mother said they have been to four or five throughout the years. In October, they went to the Hollywood Vibe regional convention in Detroit. At the convention in Sandusky, famous dancers and choreographers teach classes to kids in different age groups. The kids are divided into three groups, mini, junior and teen/senior. While not technically a teenager, Ethan’s ability placed him in the latter group. 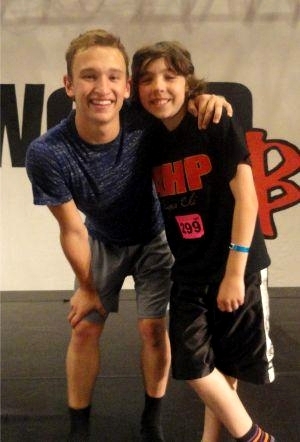 In addition to the thrill of being able to dance with someone he looks up to, Ethan had more success at the convention. As a part of the convention, every student has to learn a dance combination and perform it in an audition-type setting. About 20 dancers from each division are then called back to perform the routine again for eight of the choreographers at the convention. Three students from Dance Xplosion were among the students — Ethan, Lauren Smith and April Finkiewicz. Ten of those 20 are then selected and awarded a scholarship to attend any Hollywood Vibe Convention in the next year free of charge. Ethan was selected, as well as April. While the conventions are a great place for kids to learn and hone their skills, they also provide a more esoteric benefit. “The conventions are a great source of inspiration for the kids,” Wuertherle said. 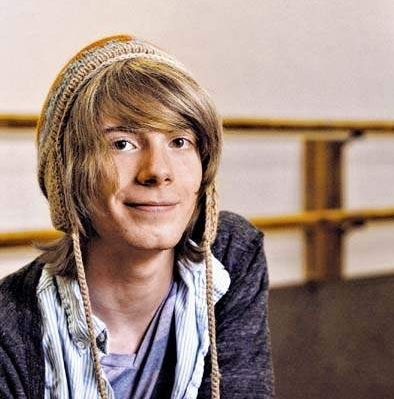 A decade later, the Great Falls High School senior is one of the top teenage male tap dancers in the country. In a snazzy tuxedo from Kaufmans, Constantino tap-danced his way to the Dance Educators of America Senior Boy Titlist rank at the national competition in Las Vegas last summer. His tap solo to Frank Sinatra’s “Fly Me to the Moon” received a platinum award, the highest given by the judges. The accolades continued as Constantino was among five dancers chosen to perform from the more than 400 dancers in the competition at the banquet that was the culmination of the event. This year, the defending titlist is wondering how to balance national competition and starting college. “I don’t know if I want to be in the dance world as a career, but it’s going to stay in my life,” he said. Constantino is a student at Miss Linda’s School of Dance, where he’s part of a troupe that dances “about anything you can think of.” Jazz, hip-hop and African are among the genres they’ve explored. Constantino starts the week at the studio with a Monday practice session that stretches from 4 to 9:15 p.m. He juggles practice and teaching through the week, has Friday off and then is back to practice on the weekend. Constantino’s favorite dance moves are wings and pull backs. “They’re crowd pleasing,” he said. Wings involve moving one’s arms and legs in circles at once, and pull backs involve making two sounds while jumping back. Before the national competition, Constantino spent a week at a ballet seminar. At the competition, Constantino attended nine days of training in a variety of dance disciplines taught by an international faculty with other students from across the United States, Canada and Mexico. Chris is the son of J. and Marni Constantino and grandson of Bud Nicholls, a friend of studio owner Linda Fuller who connected the two. Constantino teaches jazz dance classes for younger students and said it’s something he’ll consider continuing as he moves into the next stage of his life. “You understand how dance works better, the things behind it” when you teach, he said. Being one of only two teenage boys dancing at the studio means the dancing formations aren’t as balanced as they could be, but Constantino said he has enough friends outside dance that he’s not starved for guy friends. “You can’t ask too much in Montana, where guys aren’t expected to be dancing,” he said. 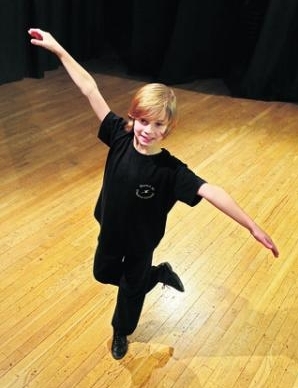 YOUNG dancer Joseph Darcey-Alden has tapped his way to success by performing a routine in memory of his grandfather. Eight-year-old Joseph was named the best tap dancer in England after learning a love of music from his granddad John Norman. Drummer Mr Norman, who died aged 75 in October, was known in pubs and clubs across Oxfordshire for keeping the beat with swing band 42nd Street. So when Joseph took to the stage in the All England Championships, he knew he had to dance to the title song of the hit musical. And dedicating his performance to his grandfather, the budding Billy Elliot swept away the opposition to pick up the tap dance trophy. Joseph, who lives in Yarnton and goes to Edward Feild Primary School in Kidlington, said: “I knew that if I got into the finals I wanted to do a dance for Granddad John, so I picked a song from 42nd Street. “I was thinking of him when I was dancing. His mother Sarah Darcey-Alden said: “I know how proud Joseph’s granddad would have been. “Because he was a drummer, he would always tap away with his hands at the table whatever he was doing. When we would visit, Joseph would tap away with his feet at the same time, and the two formed a little bit of a double act. Mr Norman was a regular in music venues across the county for more than 20 years, playing trad, swing and jazz bands. The highlights of his musical career included beating Cliff Richard and The Shadows in a skiffle competition at The Elephant and Castle, London, and supporting Georgie Fame and the Blue Flames in Hammersmith. Now training at Kidlington’s Dance 10 Theatre School, Joseph has six hours of lessons each week and practices ballet, tap, modern and lyrical dancing every day. In the British Theatre Dance Association’s All England Championships, held in Leicester, he beat dancers two years older than him to win the tap dance trophy. Fellow Dance 10 Theatre School students Nicole Faux, eight, Alyssa Linstrom, eight, Charlotte Boyce, nine, and Annie Bell, 10, also made it through to the All England Championship finals while nine-year-old Ilana Kneafsey came runner-up in the ‘song and dance’ category. Ilana, from Kidlington, has just finished a national tour playing Jemima Potts in the West End show Chitty Chitty Bang Bang, as well as appearing in the chorus in English National Opera’s La Bohème in London. THESE dancers are jumping for joy, thanks to recent good form. The South Melbourne and Armadale Dance Centre is kicking up its heels over its students’ successes. Ben Carter and Tim Stoney have received ballet scholarships, and Isaac and Jacob Moulton, tap scholarships, from the internationally recognised British Ballet Organisation. Ben was one of three dancers to receive a perfect score in BBO exams. Jacob also won a scholarship to study tap and theatrical dance in New York. 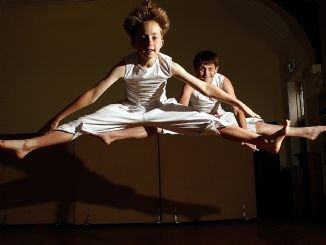 The school tutors classical ballet, jazz, tap, hip-hop and singing for children aged five to 18. It’s looking to take in more young dancers who might not normally afford its classes, with four full scholarships for dancers aged 11 and over, funded by an anonymous donor.